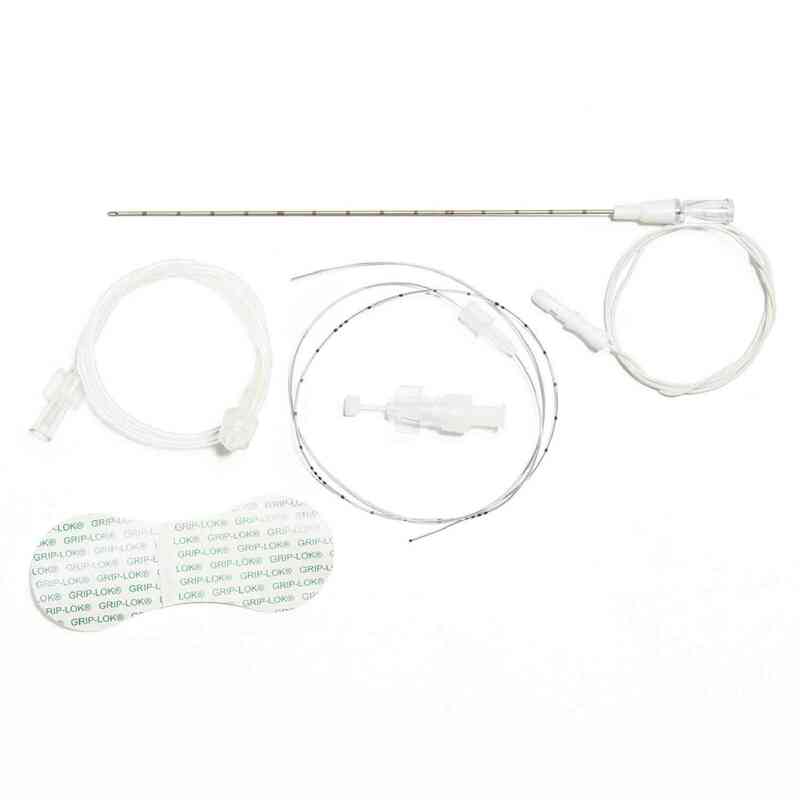 The EchoLong* Continuous Needle & Catheter Sets contain an echogenic needle for improved visualization under ultrasound and a 21 gauge x 36 inch (914 mm) plastic, non-stimulating catheter with a closed-tip, 3-port design, 360-degree depth markings, and radiopaque stripe. The EchoLong* Continuous Needle & Catheter Sets contain an echogenic needle uniquely laser-etched at the tip for improved visualization under ultrasound. It is equipped with a 21 gauge x 36 inch (914 mm) plastic, non-stimulating catheter featuring a closed-tip, 3-port design, 360-degree depth markings, and radiopaque stripe. Each set also includes custom Tuohy Borst-style catheter connector and easy-to-use catheter thread-assist guide. 10 individually packaged sets per case.Multiple Design OptionsEchogenic needles available in 18G and 2 in. (50 mm), 4 in. (100 mm), and 6 in. (150 mm) lengths. Additionally, sets offer either a 21-degree facet bevel or Tuohy needle tip configuration, as well as a nerve stimulating or non-stimulating design. The units are single use and are EO sterilized.